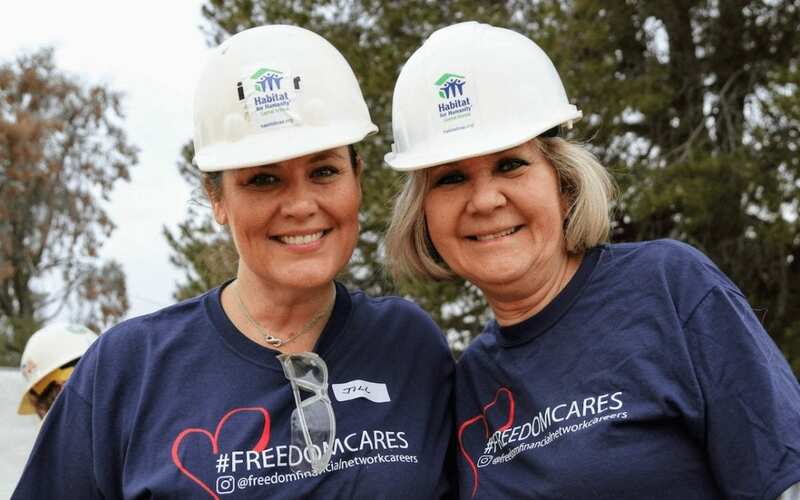 In early 2019, many Freedom Financial Network employees are helping build a brand-new Habitat home in Phoenix. Along with the Habitat team and the new homeowners, they kicked off the project at a wall-signing ceremony at the build site. The wall-signing is an exciting moment when volunteer builders sign the first framed walls of the home with messages of hope, inspiration and positive energy. At the ceremony, they also connected with the Zenagebriel family, with whom they’re building the home. Emishaw and Sara immigrated to Arizona from Ethiopia in 2012. They, and their three children, one of whom has special needs, will work alongside Freedom Financial Network employees and other volunteers over a 16-week period to build their Habitat home. Freedom Financial Network employees who volunteer for this project will also take part in the home’s completion and dedication celebration in May, during National Women Build Week. 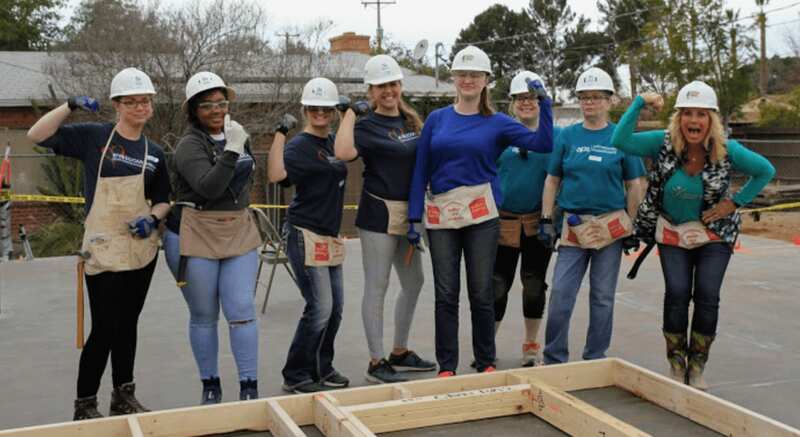 To thank Habitat for Humanity Central Arizona for its commitment to helping our community grow, Freedom Financial Network will also make a financial contribution to the Women Build program in Phoenix. The mission of the Women Build program aligns with Freedom Financial Network’s goals to help people of all walks of life build stronger financial futures. Women Build empowers women to build strength, stability and independence through shelter, and helps women learn new skills in a welcoming environment, without excluding men. Freedom Financial Network appreciates Habitat’s work, which aligns with their dedication to community outreach to help families and children. Today, Freedom Financial Network employs 2,000 people, but started in a spare bedroom in Silicon Valley, when Andrew Housser and Brad Stroh were determined to help people in severe debt hardship find a way out. Today, they are more conscious than ever that having an affordable, safe home plays a vital role for families and communities. Their organizations’ shared values provide a powerful base for our work with Habitat for Humanity. Caring about those they serve, acting with compassion, working with integrity and always striving to improve in a collaborative environment form the groundwork for a solid partnership. They’re particularly excited to be involved with Women Build as it includes hands-on work as well as a financial investment. Employees have the chance to participate in a physical, tangible commitment to help our neighbors here in Phoenix build strong financial futures. It doesn’t get much better than working together to better the community.